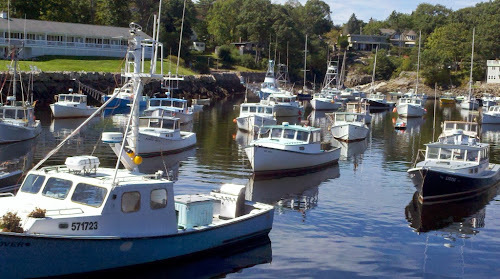 The coast of New England has many unique qualities - the salty smell in the air, the afternoon sea breeze, lobster traps, fishing boats, and of course quaint towns. 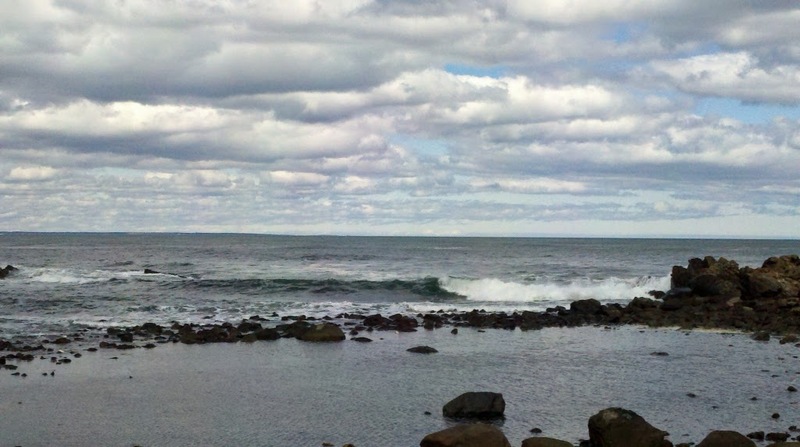 We enjoy the ocean very much and have spent quite a bit of time in many towns throughout the area. One of the best and most relaxing of these can be found in the small town of Ogunquit, Maine at Breaking New Grounds. 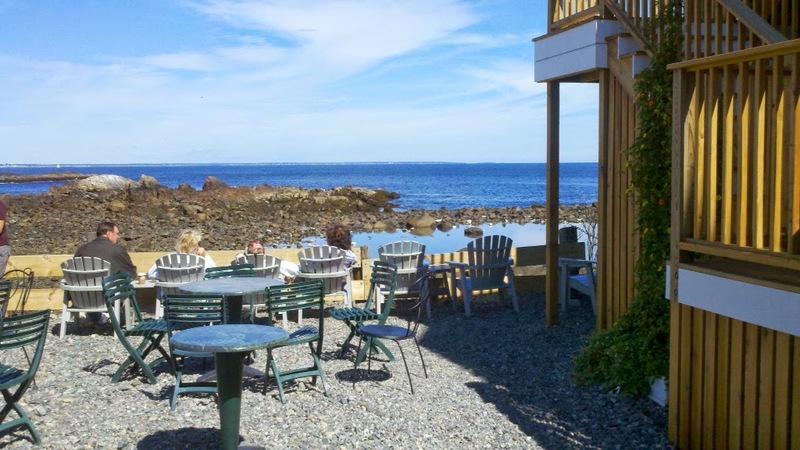 Located in Perkins Cove you will have to go almost as far as you can to the end of the road and the coffee shop is near the end on the left. Most of you will have to park prior to reaching this area and walk down the paved road. On the way you will see many cute stores, restaurants, and picture perfect views that remind us why we love New England. go outside. Here you will find several tables and chairs lined up in a sandy area for their customers who want to relax and watch the water. If you like to chill on the ocean this is a definite must visit. When should you go you might ask? 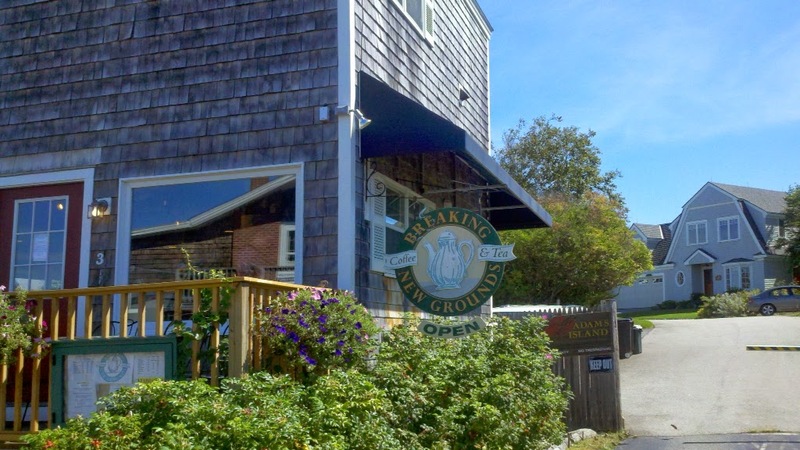 Breaking New Grounds is open year round but we recommend the spring or the fall before Perkins Cove and Ogunquit are overrun with tourists. That's not to say that you shouldn't visit during the summer, although, it is more peaceful at other times of year. 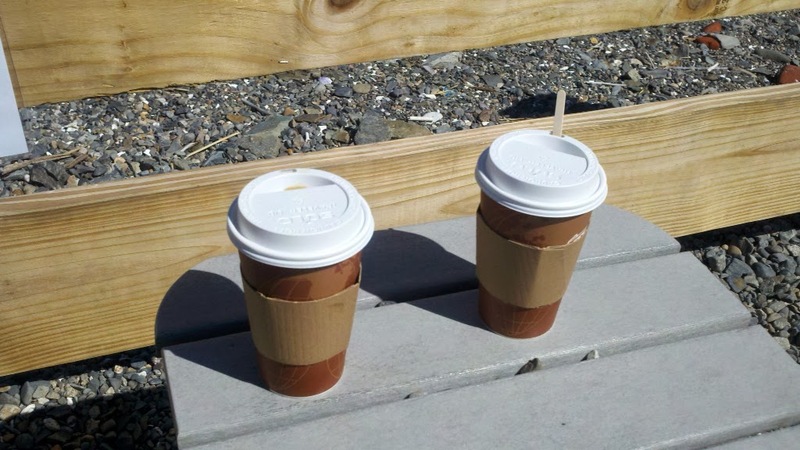 Bundled up in a warm fleece with a cup of hot coffee and I could watch the waves for hours. And if you can try to time your visit during high tide when the water is at its most spectacular, it doesn't get much better than this. For those of you familiar with the seacoast of New Hampshire, you might recognize the name of this coffee shop. There is a sister store in Market Square in downtown Portsmouth. Want to know how far it is from you and Breaking New Grounds? Click on the map below to find out. Mark you calendars for the Yarmouth Clam festival scheduled for July 21st through the 23rd in Yarmouth, Maine. This is one that we keep going back to year after year and is definitely worth a drive if you are looking for something to do that weekend. This is another one for any beer lovers out there as we hunt for Heady Topper. Brewed by Alchemist, it is made in small batches and only available at the brewery, select retail stores and restaurants in Vermont. Supply definitely does not meet the demand and for that reason they frequently run out of stock. There are stories of people following their delivery trucks so they could be first in line to make sure not to miss out. Given that the beer is shipped only on certain days of the week that seemed like the best option if you arrive on the same day but our first stop didn't quite match. We were in Burlington and happened upon The Farmhouse Tap & Grill but their delivery day is Thursday and unfortunately they were out. This was a Wednesday and after checking the Alchemist website schedule finding that Prohibition Pig in Waterbury was on the list we were on our way. Many of you probably go to the Mystic, Connecticut area to visit a casino but we found another reason. A store that has some of the best fudge we have ever tasted. Located at Olde Mystic Village, Munson's Chocolates has several stores throughout the state and this is our favorite.